Every fighting game competitor wants to play under optimal conditions, or at least as close to their home training experience as possible. But what are they to do when an event’s setups begin to fail? And how do the organizers rectify such a situation? These questions became incredibly important during the BlazBlue: Central Fiction tournament at Evo 2017 this weekend. It all started with controller disconnects on Friday, July 14. As pools played out in Guilty Gear Xrd Rev 2 and Tekken 7, players began to notice an unusually high frequency of controller issues, many of which caused the console to stop recognizing that both pads and arcade sticks were plugged in. Any pause in gameplay this might trigger gives the player who paused a round loss per the official Evo ruleset. If the match so happens to be on the last round, this means the player loses the entire game. Many, like competitor Dan “Raidhyn” Nichols, attributed this to controller malfunctions rather than anything the tournament organizers were responsible for, and thus didn’t raise too much of a stink. 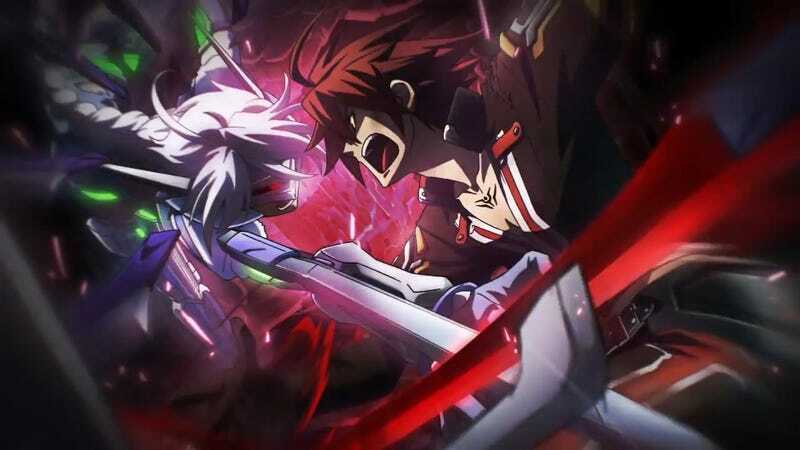 These problems compounded earlier today as BlazBlue: Central Fiction got underway. Jachin “SKD” Harte, considered the best BlazBlue player in America and a legitimate threat to Japan’s dominance, noted a controller malfunction on Twitter this morning. Soon after, he wondered if it might have something to do with the pool stations in particular, as nothing of note happened while he was playing on the console used for stream matches. SKD was so disheartened by the turn of the events (his malfunction contributed to the loss that sent him to the losers bracket) that he toyed with the idea of refusing to play any of his future matches on anything but the stream station, disqualification be damned. He has since decided to play out the rest of the event, even if his heart might not be entirely in it. As is often the case, word spread and theories were crafted as to the root cause. The consensus on the ground was that it had something to do with the power being used by the venue for those particular setups, as they were in the same area that was used by Tekken 7 the day before. When Compete asked, Evo staff was still unsure of the cause, and as such were unwilling to provide any concrete statement past attributing the issues to general console failure. When the tournament organizers were made aware of this problem, they immediately set about rectifying it. Their first step was to adjust the rule that states pausing the game for any reason results in a loss, telling the judges running pools to consult Evo staff should this situation occur so that an official ruling could be made before someone incurred an unwarranted penalty. The second, and most surprising, is that anyone who believes these console issues contributed to their elimination during BlazBlue pools have been given the opportunity to be entered into a new, separate bracket that feeds into the current semifinals. Most were more than happy to take the offer, but some refused for unknown reasons. Unfortunately, this is a problem with no perfect solution. The players involved understand that there really isn’t anything Evo can do to completely correct the situation, even if doing right by those who were negatively affected seems unfair on the surface. As the largest fighting game tournament in the world, it’s nigh impossible for Evo to run completely without a hitch, but their willingness to play by ear in situations like this shows they will do whatever they can to provide a positive experience for those in attendance.